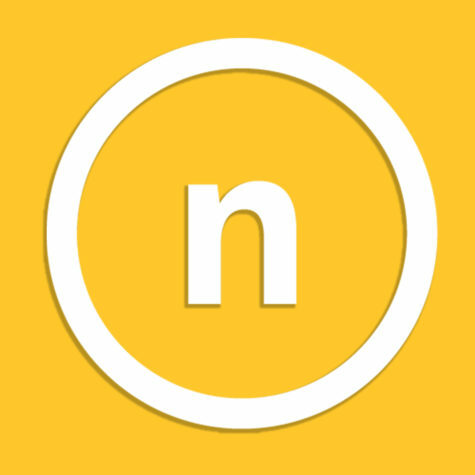 NKU students attended a rally in Cincinnati Monday protesting President Donald Trump's executive order temporarily limiting immigration from certain countries. Hundreds protested outside Cincinnati City Hall against the president’s executive order temporarily banning Syrian refugees and immigrants from predominantly Muslim countries. Among the demonstrators were NKU students that whether personally affected or not, showed up to the Rally for Refugees and Muslims, both tempered with frustration and bound by unity. The man brandishing the megaphone was Joe Sack, whose group Refute and Rally organized the Rally for Refugees and Muslims. 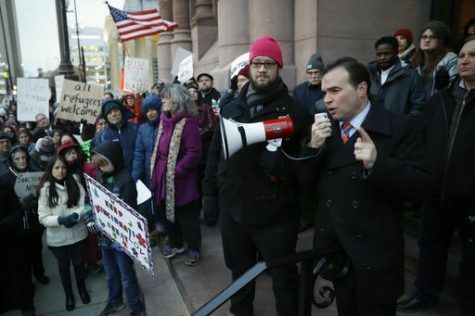 During Monday evening’s protest, Cincinnati Mayor John Cranley appeared and continued to vocalize his support for Cincinnati as a “sanctuary city,” or a city which shelters illegal immigrants. Standing beside protesters, Cranley said that the U.S. faces a “national moral crisis” while he also called for unity. Specifically noted on its petition, Refute and Rally demanded action that includes an official rejection of the ban in Cincinnati, designation for the city as a sanctuary city and funding for an Immigrant Welcome Center, something that Cranley proposed in October 2015. In front of the crowd, NKU communications major Sami Dada stood up and shared his story of immigrating to America from Liberia. He said he came to this event out of “an overwhelming need” to support his immigrant and Muslim community. NKU senior Spanish major Francesca Phillis said she came to the rally to support refugees. Phillis said her feelings about the refugee ban are deeply personal because her best friend is a refugee that escaped Cambodia’s Khmer Rouge. For Christina Caffrey, a freshman pre-law student at NKU, the issue of refugees coming to America is rooted in her own family’s history; one of her parents is Muslim, and her stepfather escaped Iraq under the rule of Saddam Hussein. 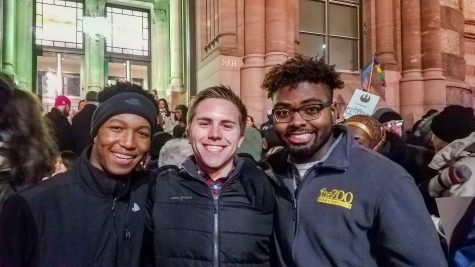 NKU student Sami Dada, Michael Bailey and Patrick Edwards attend Monday’s rally in Cincinnati protesting President Donald Trump’s executive order temporarily limiting immigration from certain countries. Young people from around the tristate showed up to protest. A Xavier University freshman led chants through the megaphone on the hall’s stairs. University of Cincinnati students held signs and applauded speakers. A Walnut Hills High School junior stood up to recite the Emma Lazarus poem inscribed on the base of the Statue of Liberty. UC political science major Caroline Lembright shared this frustration. She said the reason she came to the rally was to send government representatives a message. President Trump signed the executive order on Jan. 27 which temporarily bans refugees from seven countries with high Muslim populations as well as halting the entry of Syrian refugees indefinitely. Iran, Iraq, Libya, Somalia, Sudan, Syria and Yemen are all named in the ban, and the order suspends the entry of refugees from those countries for 90 days. All refugee admissions are also suspended for 120 days. The weekend brought reports of people being detained in airports while trying to re-enter the USA. 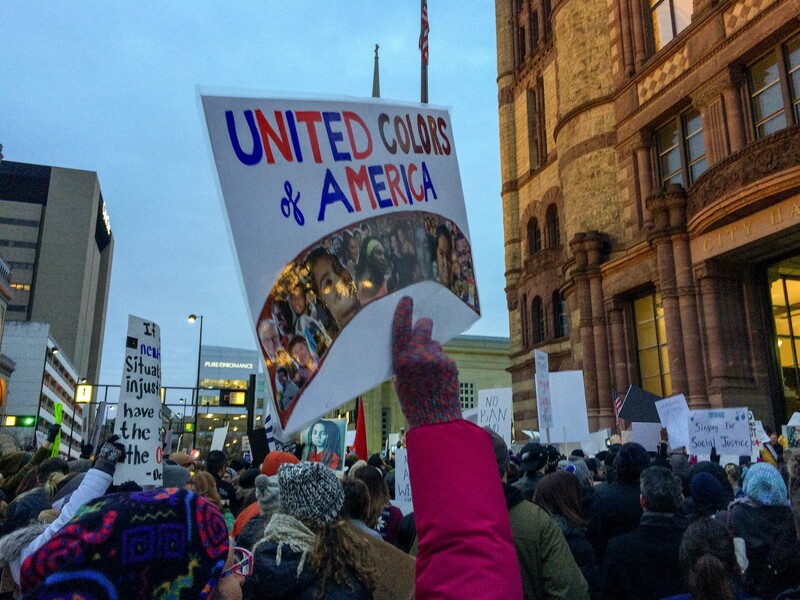 Protests and shows of solidarity appeared in cities and airports across the country, including protests at CVG Airport and the one held Monday at Cincinnati’s City Hall. As the crowds dispersed and city police reopened the block to traffic, Sack said it was “amazing” that so many students got involved and was “really surprised by the huge turnout” of young people. Caffrey said the protest gave her hope in spite of her family’s uncertain future. “It’s good to know that even though there are many people that agree with this executive order, there are people that still see the good in Muslims and immigrants in general,” Caffrey said.